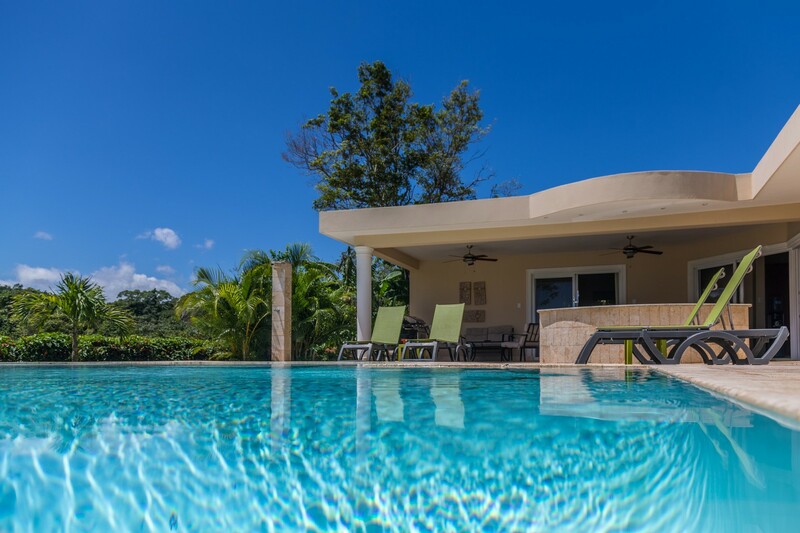 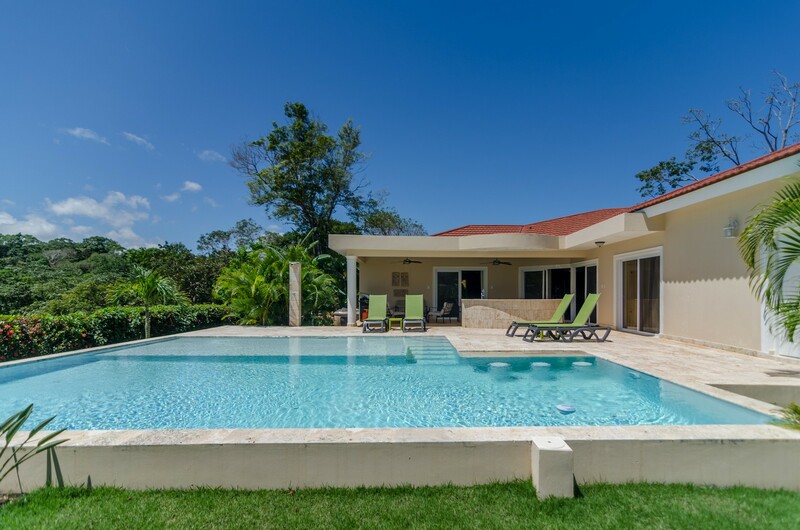 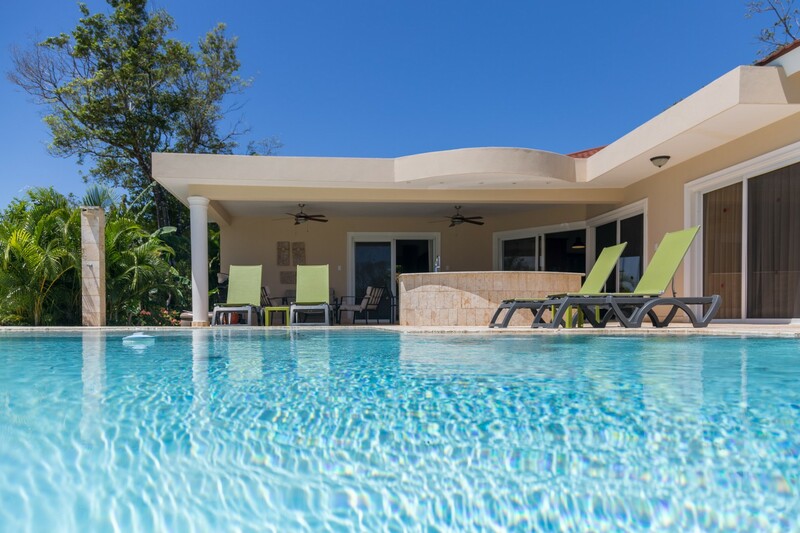 An amazing 15,000 gallon sea-blue pool complete with sun lounger space and swim up bar await you… You'll also love watching sunsets from your own Jacuzzi. 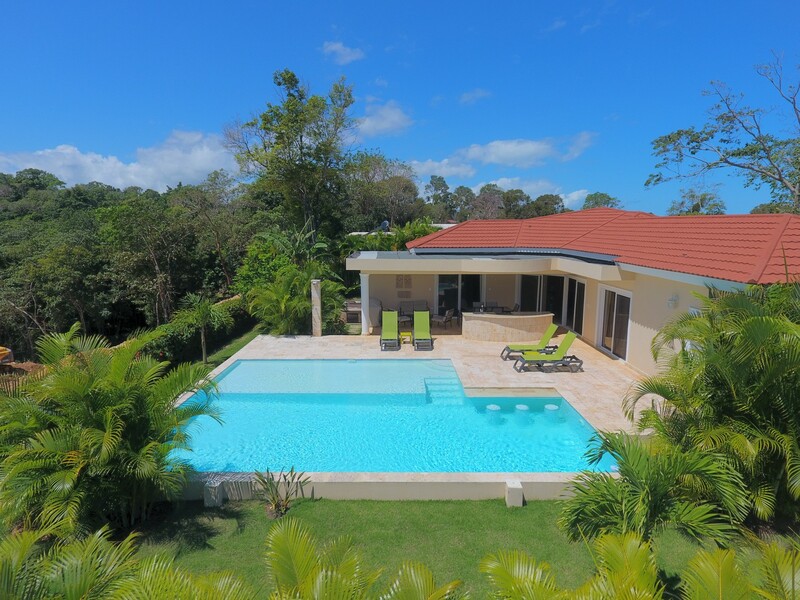 This villa is perfect for families or couples travelling together. 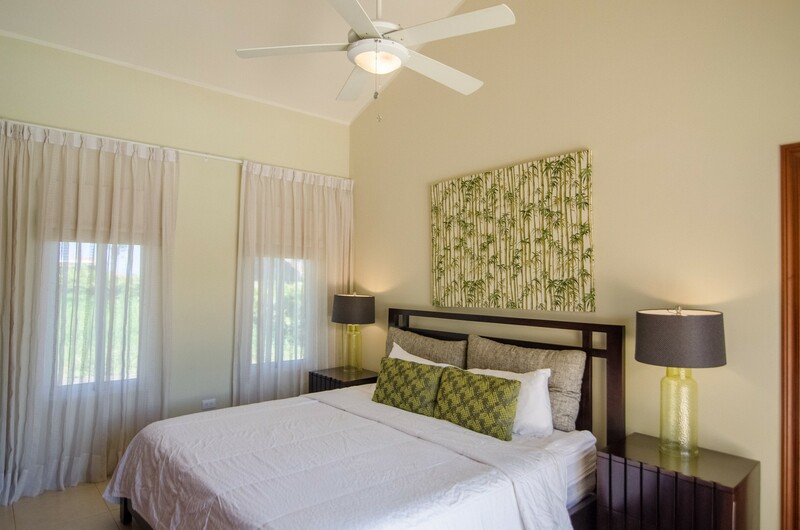 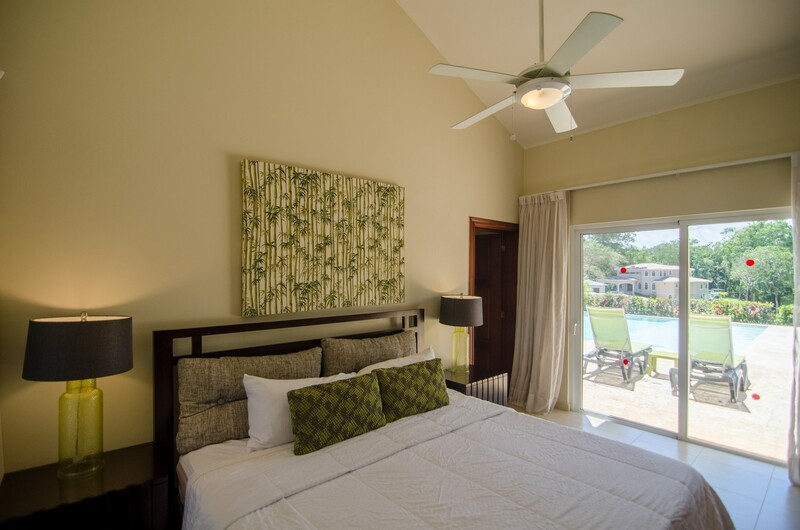 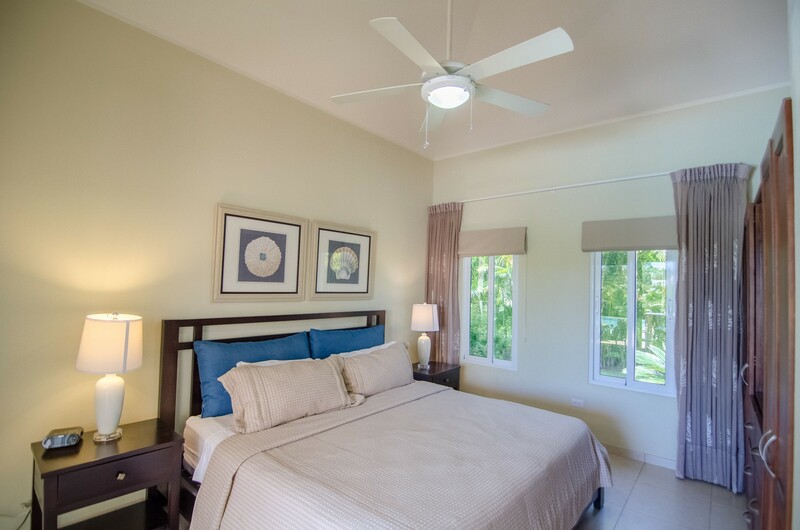 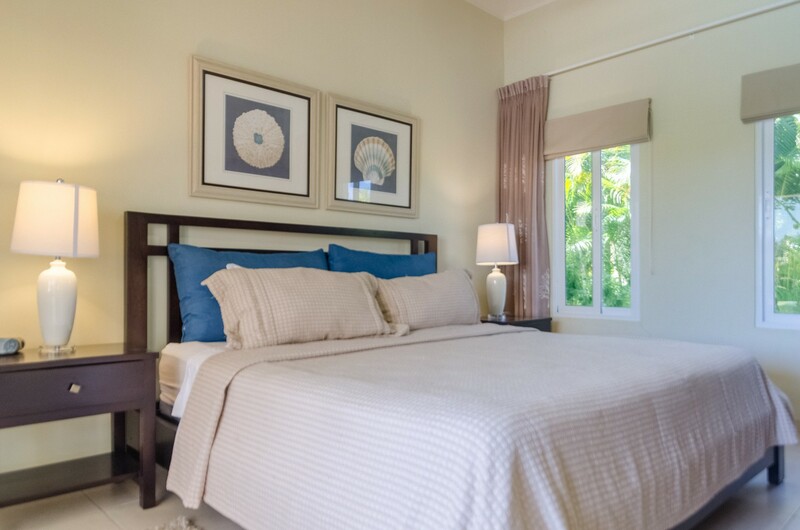 Both bedrooms have king size beds and are located on either side of the villa with a breezy great room separating them. 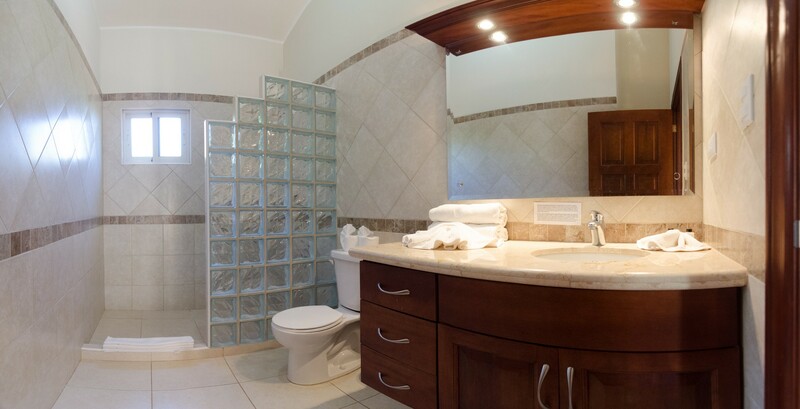 Two full baths mean no arguing for shower time. 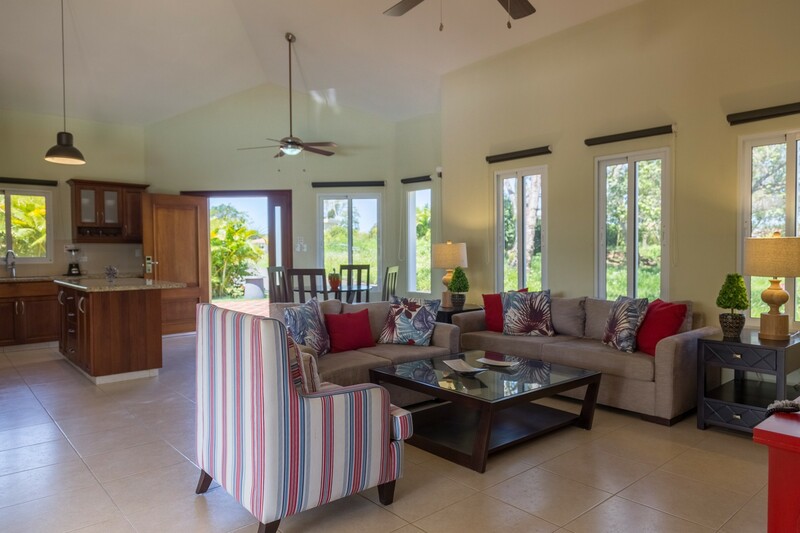 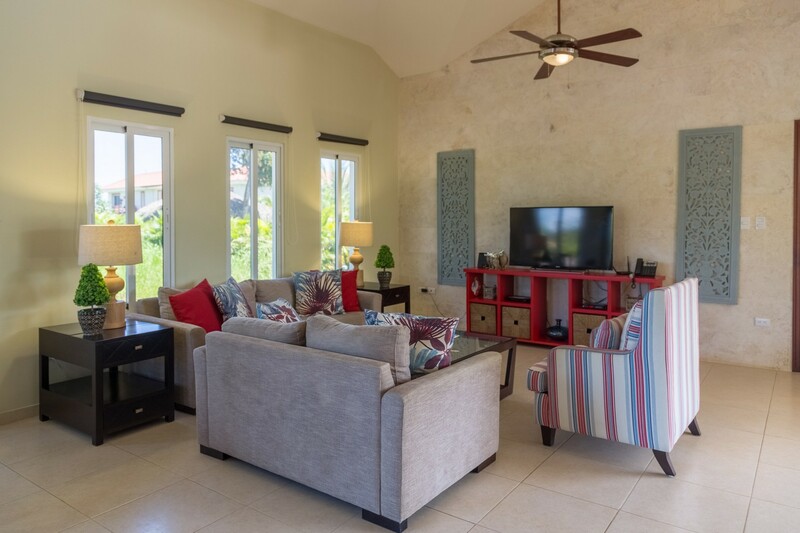 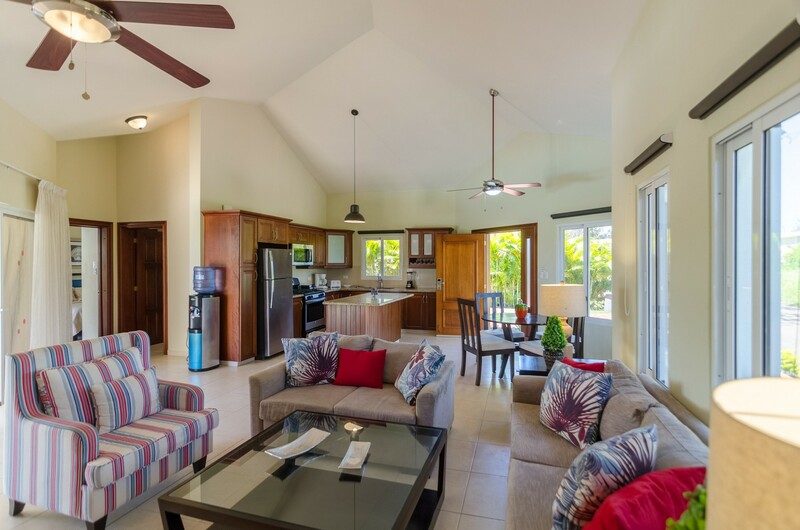 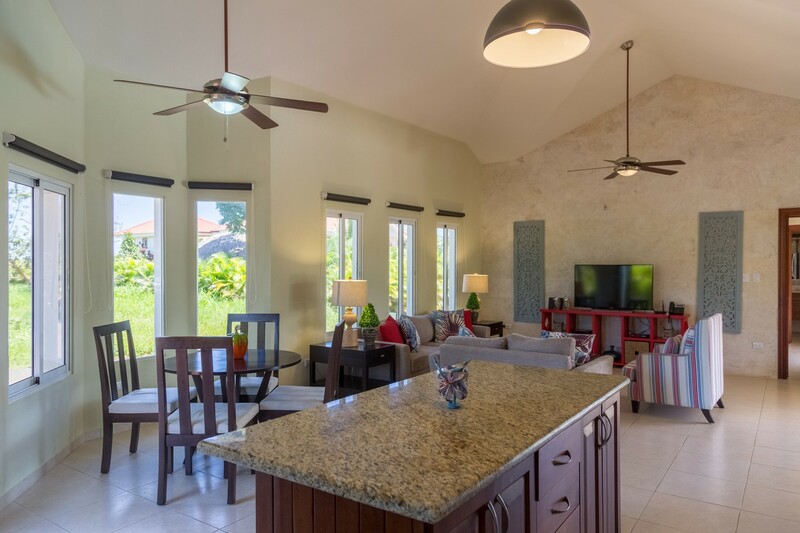 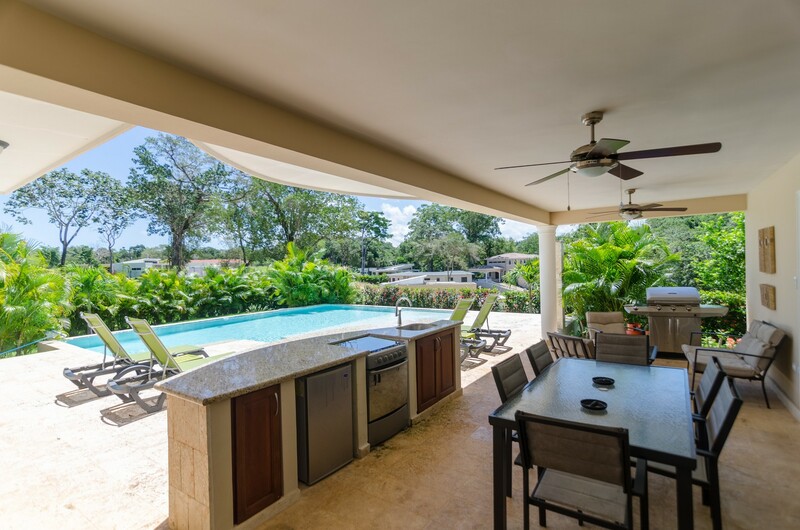 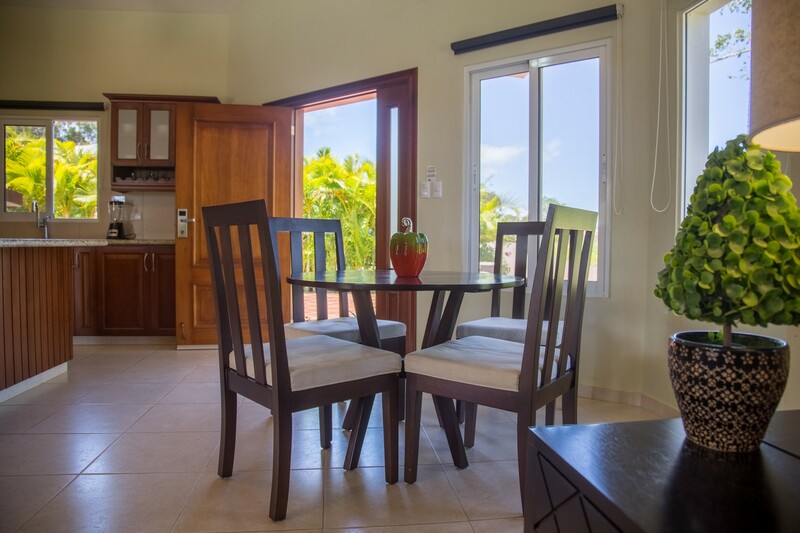 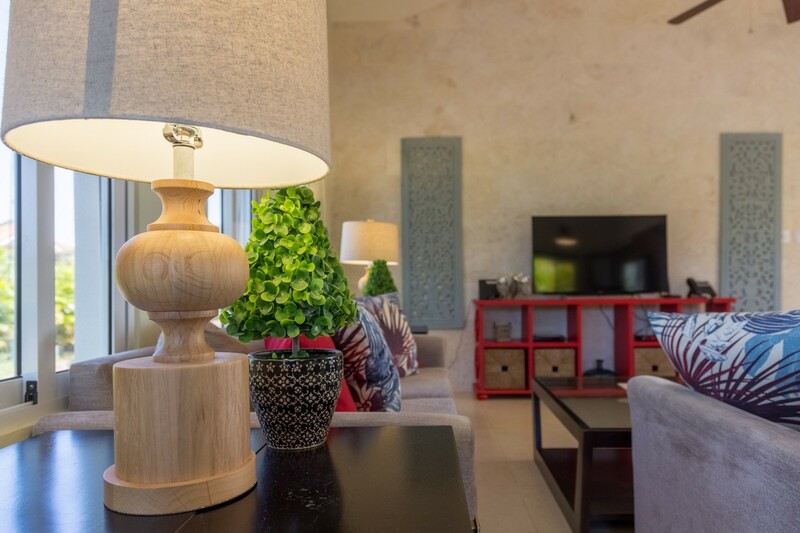 This villa is bright and airy due to vaulted ceilings and lots of windows. 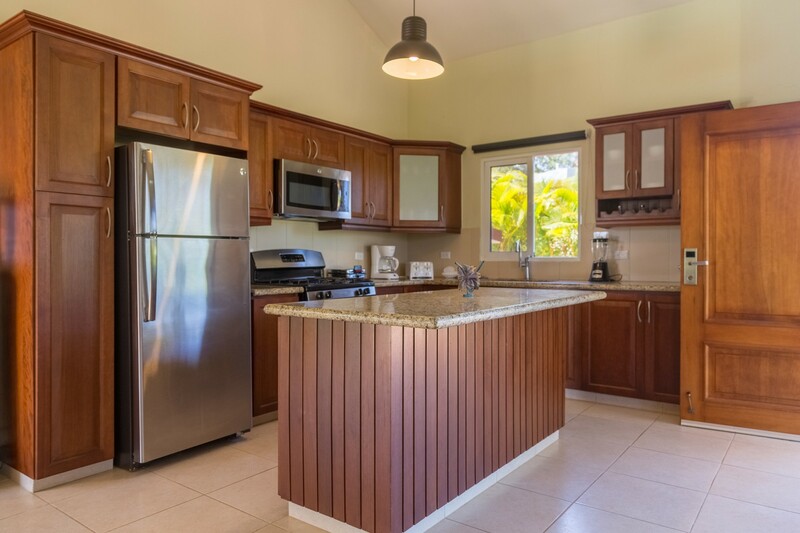 It has a great kitchen with lots of cabinets, counters and an eating bar. 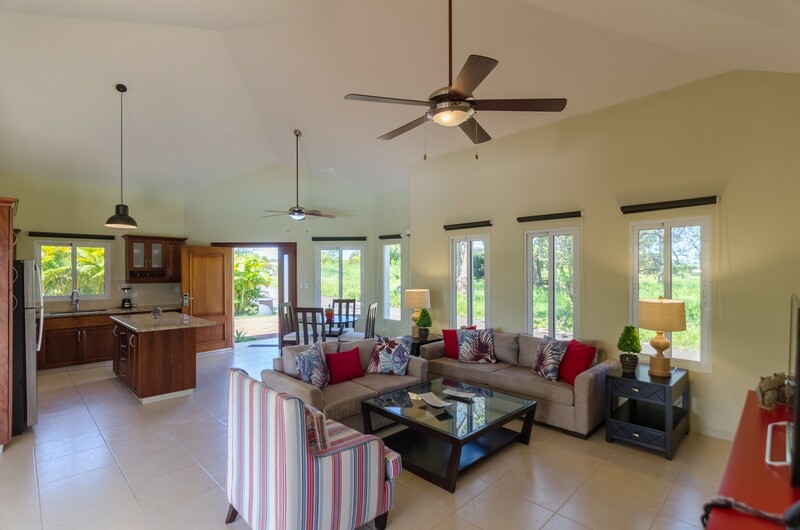 BBQ and hang out outside under the covered terrace with build in outdoor kitchen. 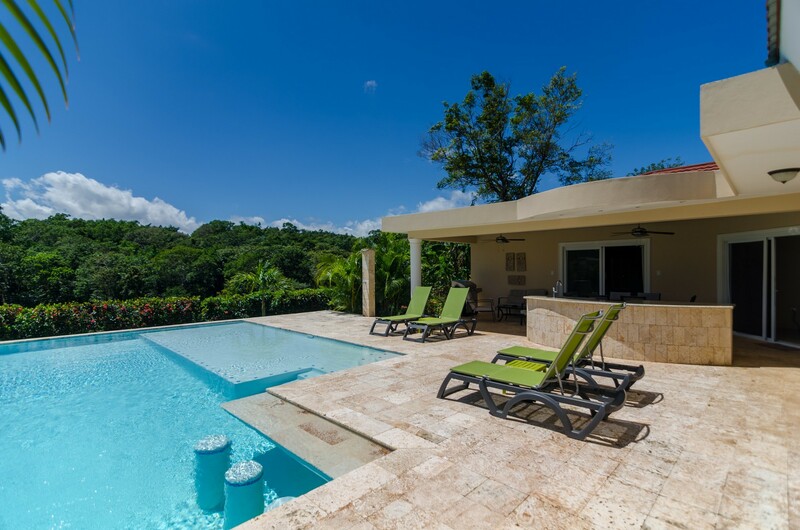 This is an enviable and exclusive property.